The wide open expanse of sand known as Cata Sand on Sanday is exposed at low tide. Wading birds emerge to graze the treats left behind by the tide on the newly exposed sand. Pond like at high tide this large bay becomes a wide sand beach at low tide. 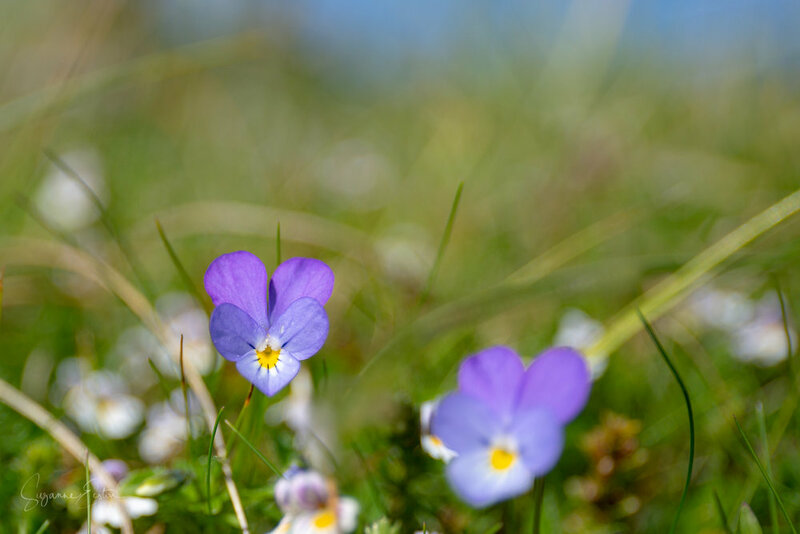 Walking along the wide grass track between the low sand dunes leading to the beach and the golf course, the machair is alive with colour. Vibrant and different to other places the green is interspersed with shades of blue and violet. Dancing in the wind the delicate flowers of the wild viola (Viola tricolor) mix with the whites of eyebright. Protected from the tide and the harshest of the weather these small flowers appear to be thriving on these low lying sand dunes. Cata Sand is about 5 minutes drive from Lady Village on the main road heading east towards Start Point. On the right, a mile from the village you will see a concrete bunker-like structure (known as the 'Brickie Hut'). Turn right off the main road onto the grassy track. There is a parking area here with an information board or you can continue along the bumpy track for just over half a mile to the end of the track where it joins the beach. To enjoy the sands and dunes it is best to park near the main road and wander along the track or head over the sand dunes onto the sands. Parking is free but there are no facilities here. Cata Sand is good all year round and at any states of the tide. It will change its personality with the weather and tides making each visit unique. 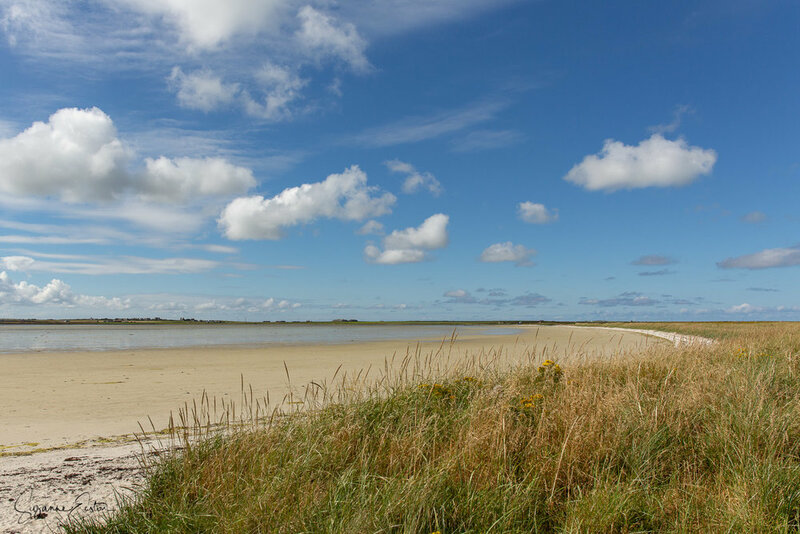 It is also a great place to start exploring the Bay of Newark, just the other side of the sand dunes!